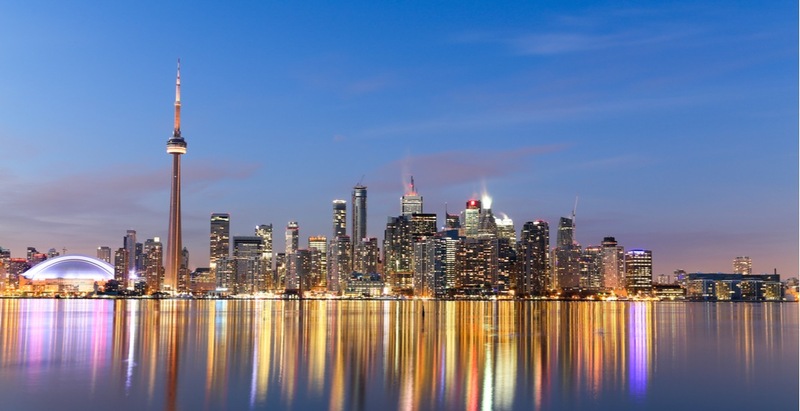 Toronto is home to one of the most recognizable skylines in the world. But the view we have all grown to know and love will soon look significantly different, as over 80 skyscrapers are expected to pop up in the coming years. Toronto currently has the 17th highest number of skyscrapers in the world, and with an impressive total of 524 towers and high-rises, only New York City, Hong Kong and Chicago boast more. As of March 2019, Toronto is home to a total of 60 skyscrapers, which are defined as a building that has over 40 floors and is taller than 150 metres (492 ft.) and by 2024, no fewer than 31 residential and mixed-use skyscrapers will be built, according to Point2homes. Plus, there’s still an additional 50 skyscrapers in the planning stage, bringing a total of 81 new towers to Toronto’s skyline. Point2homes has put together a video that shows how Toronto’s skyline has already developed in recent years and how these new developments will continue to evolve the skyline in the future. Finding a gap in the city’s densely crowded skyline seems fairly difficult, which is why developers are solving the problem through vertical growth, as seen in the video below.